It is almost a given now that technology contributes enormous value to solving some of the most glaring problems of the world; in the last month or so I’ve read about how maps and machine learning are helping to eliminate malaria and how constitutional reform in Mexico City is being crowd-sourced. So it isn’t a massive leap of faith to suggest the tech industry and its workers can, and is already, forming part of the solution to the problems being faced by employees all over the world — especially those already in, or vulnerable to, precarious employment or even ‘in-work poverty’. 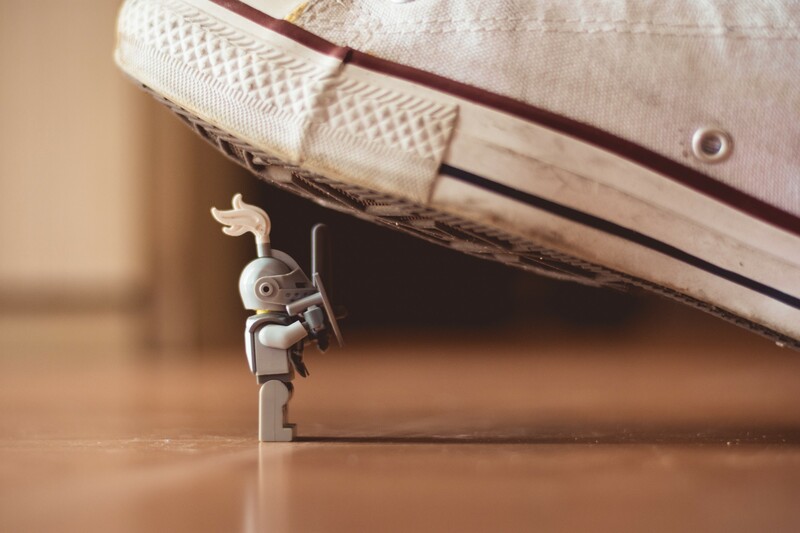 When we think about how we as individuals working in tech can, as Tim O’Reilly once said, ‘work on stuff that matters’, we are increasingly starting to see a focus on addressing inequalities stemming from the changing nature of employment itself. ‘WorkerTech’ — using technology to introduce pro-worker innovation — wasn’t around during the initial conversations about working on the stuff that matters back in 2008/9, but fits nicely with the idea’s principles. O’Reilly himself was rightly wary of concrete definitions of what stuff did and didn’t matter; the motivation for individuals and teams had to be more than short-term huge paychecks, and more about accomplishing big things and “creating more value than you capture”. The examples I highlight later in this post certainly deliver on these fronts. We know it is tech innovation (“friend as well as foe” as Gavin Kelly put it) itself that has largely enabled these sweeping changes to the shape of the workforce — disruptive software platforms have created ‘nonemployers’ that skirt traditional employee rights by crowd-sourcing employees labelled as ‘contractors’, or by otherwise disrupting labour models that afforded workers more protection. Whilst the hype train may have already left for the ‘next economy’, if you instead subscribe to the more pragmatic view (shared by economists like Ryan Avent) that some of these new business models, including automation, don’t necessarily cause mass joblessness but instead have a more gradual effect of suppressing wages and creating a glut of low productivity and precarious menial jobs — whilst subsequently eroding employment numbers in industries like transport and retail — then it is no surprise that folks in the tech industry have started to organise together and engage with the problems facing down the labour market. The growth of WorkerTech is timely. As humans are being removed from the business models of traditional industries like retail (Amazon Groceries) and transport (Uber, Lyft, etc), we’re starting to wonder aloud if that is such a good thing. Putting a figure on the number of ‘nonemployees’ working in precarious employment (including those on zero-hours contracts and the so-called ‘gig economy’) is hard, and the numbers vary depending on definitions. In 2016, 23 percent of Americans told Gallup they worried that their working hours would be cut back, suggesting they are in what would be considered precarious employment. Different US sources suggest between 3.6 million and 53 million are engaged in what is now known as ‘the contingent workforce’. In the UK the current figures† are closer to 1 million gig workers. With increasing numbers of vulnerable workers in many countries, we’ve seen more and more people in the world of tech turning their talents (sometimes in their spare time) to helping workers outside of our own industry by launching new initiatives to help fellow citizens affected by the changing nature of work to protect their careers, families and living standards. This is a list of stuff that I think is really cool, and by no means an exhaustive collection of what is out there. 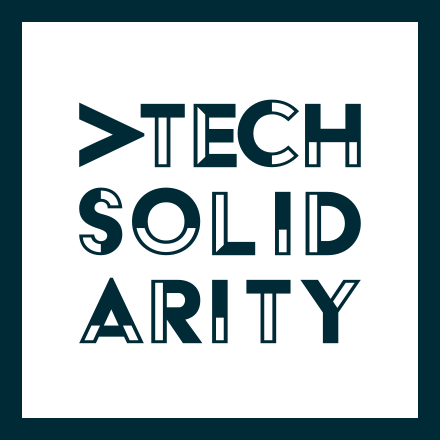 Tech Solidarity are a collective that connect tech workers with the communities in which they live. One of their emphases is “ creative use of labor law in pursuit of an ethical agenda.” Founded at the end of 2016, they’ve already got groups running monthly-ish events in all the major US tech hub cities. I’ve not seen any plans to set up a similar organisation outside of the US, but the idea is universal and no-doubt we’ll see a European variant soon. All-volunteer coalition of tech workers, labour activists, community organisers and friends. Looks to engage workers with communities in ways which vanilla corporate social responsibility programmes can’t (or won’t). From their website “We work in solidarity with existing movements towards social justice, workers rights, and economic inclusion”. Sadly (for me) based only in the Bay Area. 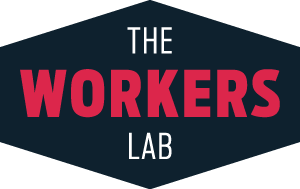 The Workers Lab is an accelerator that invests in entrapreneurs and community organisations. With a mixture of training, investment and ongoing support The Workers Lab has already built an impressive portfolio, including: Spendrise, Color of Change and the Restaurant Opportunities Centers United. CEO Carmen Rojas, PhD. Bethnal Green Ventures are a London-based accelerator that support ‘tech for good’ projects generally, opening a WorkerTech-specific programme for the Autumn 2017 intake. Coworker.org is a campaign-based platform that connects workers at companies like Starbucks and Uber to enable them to collectively make efforts to make positive changes for workers via petitions and sharing data on unfair employment practices. Operates in both US and Canada. 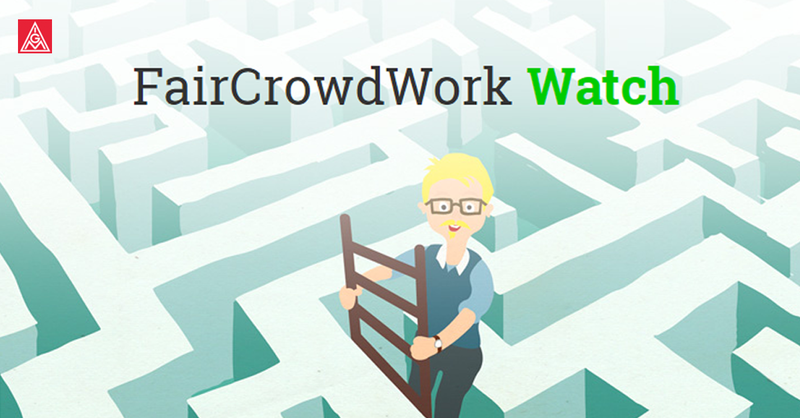 Backed by the German metalworkers union (IGM), FairCrowdWork is a platform that intends to shed light on the real work of crowd-, platform-, and app-based work by applying sound research methodology to peer rating of the many crowd-source work platforms out there, including Amazon Mechanical Turk, UpWork and CrowdFlower. Turkopticon (brought to you by the same people as FairCrowdWork) works essentially as a browser plug-in that enables workers to rate individual Amazon Mechanical Turk employers (and HITS) based on their communication, generosity, fairness and promptness. Now on its second Beta phase, Turkopticon 2, just like Turkopticon, is a place for workers to help one another with information and share their experience. Also it wins the prize for best name. Fairmondo (now in Germany and UK) is a marketplace that is cooperatively owned and run by its users: buyers, sellers, workers, and investors. The model rewards sellers with a strong commitment to ethical business and trade. Loconomics Cooperative is an app (but also a marketplace) for local service providers across a number of professions to market themselves on a platform that they also own. The structure of the organisation is very flat, and member/owners elect the board of directors. Currently limited to certain areas of the US. These are still early days for WorkerTech. What’s exciting for us regular folk that work for a living is that it could well change the shape of economies, and the trajectory of employment around the world. Things can be fairer and less exploitative — technology itself has enabled much of that exploitation, and I hope that it can not only undo the damage it has done but improve things too. It should be the next big thing. 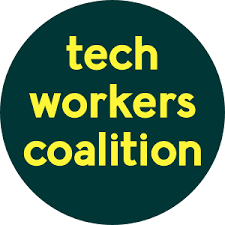 Not that structural inequality will be solved with code, but that’s where collectives like The Tech Worker’s Coalition and Tech Solidarity come in — leveraging the privileged position of tech workers in their own local and national economies to help the less-privileged. These groups understand that incremental progress can be achieved with a good bit of old fashioned person-to-person organising. All of the WorkerTech projects I’ve shared in this article share a common thread that shows us that this is exactly the kind of ‘stuff that matters’ that O’Reilly was talking about: they all seek to improve the long-term power balance in the labour market, and encourage and reward fairer efforts towards social and economic cohesion. But we all need more. More collectives, more initiatives solving real problems for workers in different industries. Trade unions, the traditional defenders of working people, need to get involved in more ways than just by being part of the conversation. Technology professionals need to work with organisations like trade unions to out-manoeuvre the rampant growth of the gig economy, but will find it hard to get involved without more investment and resources. If we’re not vigilant, we’ll all be taking part in a race to the bottom rung of employment rights, job security and living standards. Nobody wants that. † Research findings released in early June 2017 (as this post was being written) suggest that the numbers of those in insecure employment in the UK workforce could be as many as 10 million. Thanks to Stowe Boyd and Abigail Rumsey.